Please fill in this form to make a pledge. On a mile-for-mile basis, the electricity needed to power an EV costs from one-quarter to one-third less than gasoline. If you have a rooftop solar system, the cost to power your EV can be rolled into those system costs and electricity production. There are hundreds of EV charging stations within 30 miles of Davis, and scores within Davis proper, including several DC fast chargers. You can expect to see a dramatic increase in the number of chargers at workplaces in Sacramento in the next few years. Don’t like hanging out at gas stations? Electric motors are super efficient and clean and require much less maintenance than an internal combustion engine. No more oil changes and no more trips to the gas station except to fill up tires and wash windows. Plug-in hybrid engines require much less maintenance over time especially if most trips are electric. All-electric EVs produce no tailpipe emissions, in fact, they have no tailpipes! Bicyclists and pedestrians love this. Getting around town on zero emissions — which in Davis is 40 percent of our vehicle miles — means healthier air for our kids and seniors. Even plug-in hybrids produce no emissions while in electric mode. Needless to say, this is an undeniable plus. Heavy battery packs sit below the passenger seats, making EVs more stable and less likely to roll over than a traditional car. Because all-electric EVs do not carry flammable gasoline, it’s also very unlikely they’ll explode in an accident. For most, switching to an electric vehicle is the easiest single step towards reducing negative impacts on the environment especially if you commute even a medium distance to work. In California, long commute times and daily rush hour traffic contribute significantly to global warming and poor air quality. Could you ride a bike or small vehicle instead? Sometimes it’s better to go simple, and your daily commute is no exception. If you work in town, you could make an even greater impact by switching to walking, cycling, or acquiring a street legal low-speed or neighborhood vehicle. While more expensive models top the scale, new mid-cost models are in a close second making range anxiety a thing of the past. The electric-only range of both older and newer hybrid models is more than enough for a short regional commute. Fast charging DC “quick” chargers can fully charge compatible vehicles in 20 minutes to 1 hour. There are several publicly available quick chargers in Davis. Home chargers at 240V take about 4 to 6 hours to fully charge an all electric vehicle and about 3 to 5 hours to fully charge a hybrid. Want to get charged up? Willing to do some planning? It does take more research and planning to buy an EV than a regular combustion based car. You need to figure out a charging regime, plot out stops for less traveled routes, and likely get a charging station installed. The time you save flying past gas stations should more than make up for it. Select an all-electric EV with a range that is at least slightly more than your total daily distance traveled. If you have one car, select a plug-in hybrid to solve the range problem even if it isn’t as environmentally friendly for mid range trips. Three levels of charging, various connectors and adaptors, and several networks and payment options require a bit of schooling. It’s important to match up what’s available and what’s planned for our community with the car you want, especially if you don’t have a home charging station. Not all cars can accept a DC fast charge. Both Davis and Sacramento have active EV owner’s groups that can give you tons of first hand advice and information including listings of used EVs for sale. On the web: SacEV.org and the Davis Electric Vehicle Association (DEVA). See our Resources section below for a list of expert driven Electric Vehicle Reviews and Buying Guides plus lots more information about diversifying your ride. Receive a $2,500 to $7,500 tax credit from the federal government for new electric vehicles depending on size and battery capacity. Check here for specific tax credit amounts for all-electric and plug-in hybrid vehicles. A $2,500 credit would reduce a $5,000 tax bill to $2,500. If you do not pay income taxes, a tax credit cannot be claimed. 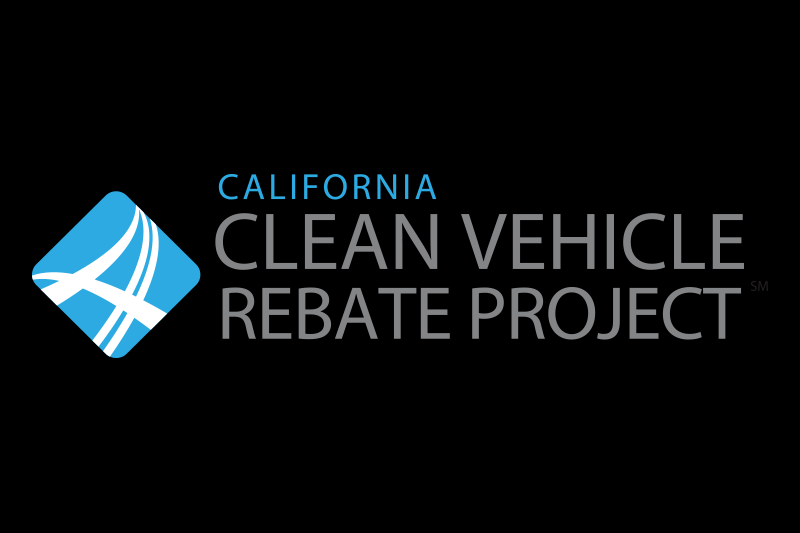 California residents are eligible for a rebate up to $5,000 for the purchase or lease of a new, eligible zero-emission or plug-in hybrid light-duty vehicle. Most vehicles qualify for between $1,500 and $2,500. PG&E customers can claim a one-time-per-vehicle $500 Clean Fuel Rebate. In California, single-occupants driving qualifying clean alternative fuel vehicles with Clear Air Vehicle decals can use High Occupancy Vehicle (HOVs) lanes (“carpool” lanes). First check the list of eligible vehicles, get details on how to apply, then apply for a decal with this form with the California DMV. This is a great for those select days when you can’t carpool or your buddy is sick at the last minute. Buying a used electric vehicle can lower your total cost, even though the big financial incentives don’t apply. Generous battery warranties make this an easy decision. 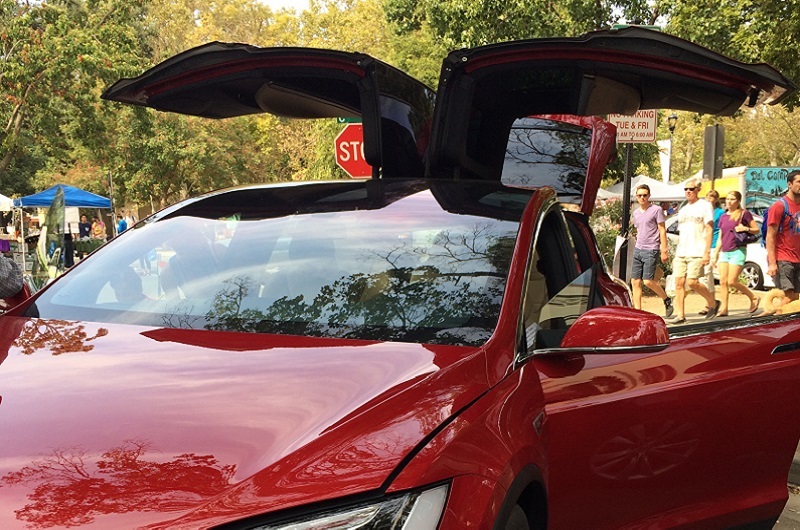 Most popular used car sales web sites include EVs but check out the SacEV Marketplace first. Some car insurance providers give small percentage discounts for electric vehicles. Ask your agent and shop around. If you’re planning on installing a rooftop solar system, your energy-transportation systems portfolio will leave a lasting legacy. The average cost of home charger equipment ranges from $350 to $600 added on top of labor costs for a licensed electrician which could run in the hundreds. While this up front cost may seem steep, $30 of gas weekly adds up to $1560 within a year. With a time-of-use price of 12 cents per kilowatt-hour, it would cost about $3 to fully charge a Chevy Volt at home with about 25kwh of electricity. Rates are lowest from 11pm to 7am, making this the best time to charge your vehicle. 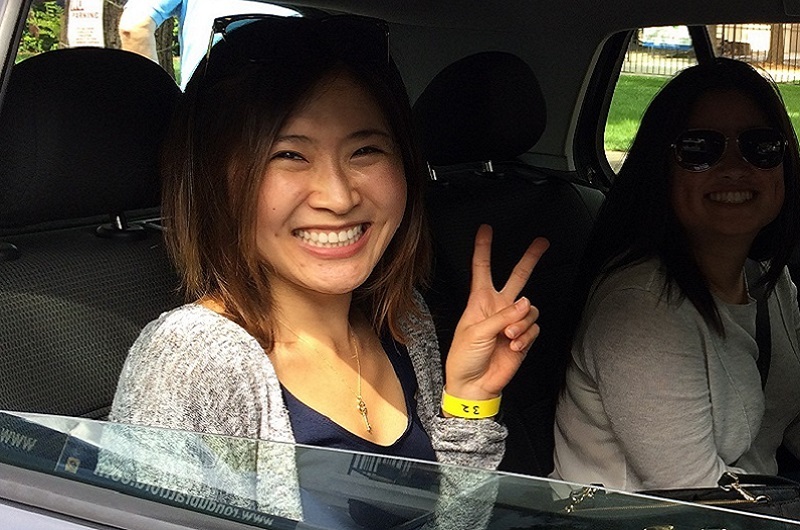 PG&E offers two electric vehicle rate plans for residential customers. 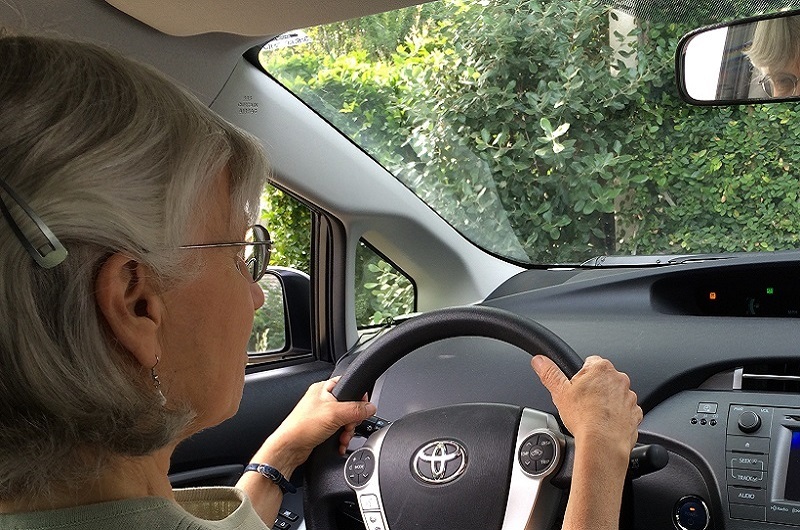 EV-A combines your vehicle’s electricity costs with those of your residence. EV-B involves the installation of another meter, which separates your vehicle’s electricity costs from those of your home. Check out PG&Es electric vehicle charging cost calculator. I researched pricing and real world performance [on the Bolt] before finally making the switch. The added range allowed me to almost completely eliminate my need for public charging! The practical hatchback design appealed to me since the Bolt is my only vehicle and the performance was excellent during my test drive. When the family minivan was finally towed away we needed a commute vehicle for John's daily trips to the CSUS campus. This little Fiat 500e was such a great lease deal. Rebates covered our down payment, and fuel is nearly free because we're charging 95% at home on our solar panels. The lease payment is our only cost. Tell us your EV&Me story! If you’re interested in being featured on this page and on the UC Davis Policy Institute and Institute for Transportation Studies web page EV&Me blog, fill out this form. Check out our resources to learn how to install a charging station at your business, apartment, or neighborhood gathering spot! Donate that old fossil fuel clunker! Cool Davis has partnered with a vehicle donation charity that will pick up your old car for free and donate the proceeds to Cool Davis. Find out more. Pacific Gas & Electric’s (PG&E) EV Charge Network is a three-year program, starting January 2018, to install 7,500 electric vehicle chargers at multifamily housing and workplaces. PG&E covers the cost of make-ready and installation, which is typically 60-80% of the total project cost. 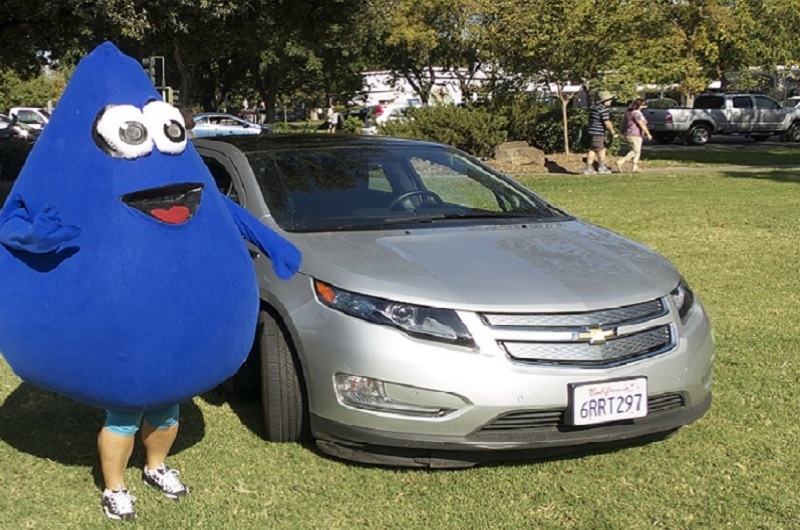 Program participants have the option to own the chargers, partially paid for by PG&E, as well as choose the charging equipment from an approved vendor list, which includes ChargePoint. The program requires a minimum of 10 EV parking spaces per site. Property Assessed Clean Energy (“PACE”) financing program allows property owners to borrow funds to pay for energy improvements, including purchasing and installing EVSE. The borrower repays over a defined period of time through a special assessment on the property. Local governments in California are authorized to establish PACE programs. Property owners must agree to the program guidelines to receive financing. Financing available for up to 15% of the first $700,000 of the property value and 10% of the remaining property value. 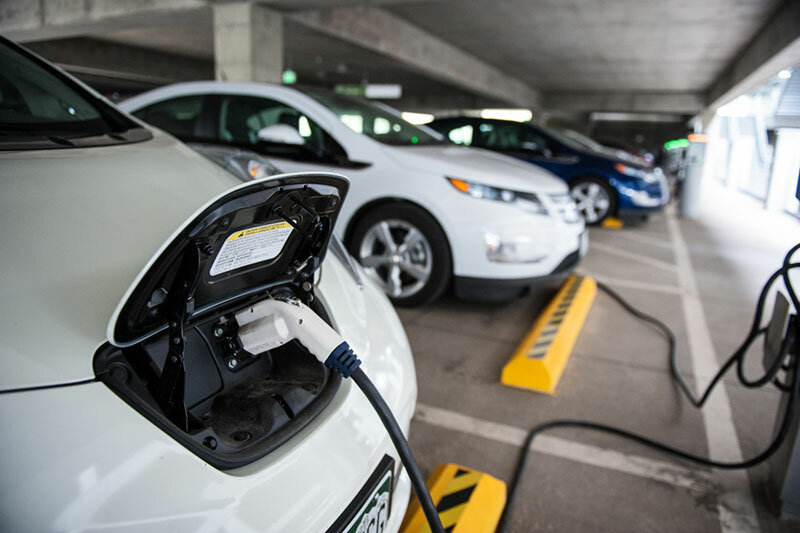 Grants for EV charging stations are periodically available through the California Energy Commission’s Alternative and Renewable Fuel and Vehicle Technology Program.